Mr. Schluederberg is an experienced litigator, having successfully represented plaintiffs and defendants in a wide range of complex commercial, insurance, and personal injury matters. Prior to starting his own firm, Mr. Schluederberg worked for several years as an attorney with a small law firm where he devoted his practice exclusively to representing policyholders in insurance coverage and bad faith litigation, resulting in numerous six and seven figure judgments and settlements, including a $4.3 million settlement. 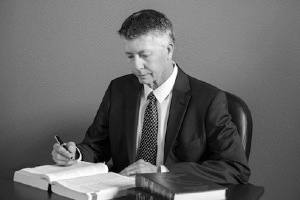 In addition to his insurance practice, Mr. Schluederberg worked for more than a decade as a commercial litigator handling all aspects of complex business litigation ranging from disputes concerning real estate, contracts, and intellectual property rights, to corporate and partnership dissolutions, unfair competition and employment matters. Mr. Schluederberg has also successfully represented plaintiffs in serious personal injury cases, collecting several millions of dollars for his injured clients. His experience representing both defendants and plaintiffs in a broad range of litigated disputes has provided him with valuable insight which he uses in providing top quality representation to his clients.